Need a date night? Home improvement project still needs to be finished? Or just looking for a fun experience for your children? Come have your children spend evening at the Zoo! Activities include carousel rides, animal close-up encounters, adventuring out on a night hike and wrapping the evening with a nature themed movie. 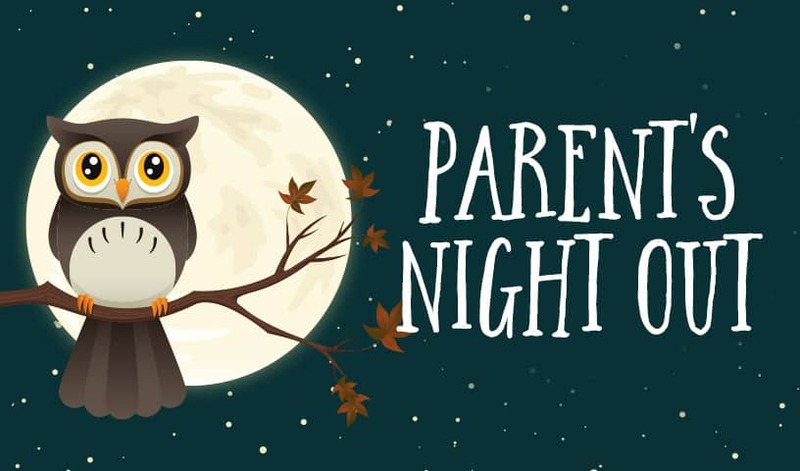 Parent’s Night Out lasts from 6:00pm-9:30pm, but children may be picked up at any time. Parents can have a great night out while the kids enjoy a wild time at the Red River Zoo with an evening full of fun, games, and activities. Adventures take energy, so a snack will be provided. Please note that Parent’s Night Out registration fees are non-refundable. When possible, we’re happy to work with you to reschedule your registration for a different session if your children are unable to attend. Animals adapt to the environments where they live, such as how our Bearded Dragon can blend into the Sands of Australia or our Red Panda blends into red lichen and moss in areas of China! Sometimes these adaptations seem unusual, like a when a skink has a blue tongue or when the bearded dragon can turn his “beard” black. Explore these adventurous adaptations, and how they can help our animals survive in the wild. Some animals seem scary, spooky, and all around creepy! Snakes, Spiders, and more will spend the night with us to share what makes them special and how they help might even help us. You may come to find out they aren’t scary at all. All Red River Zoo creatures with 0-400 legs are welcome to this thrilling night. Costumes may be worn and are encouraged! As we prepare meals for the holidays, we know there are several important food groups to create a well-rounded meal. But we’re not the only ones who need a proper nutrition, our animals do too! The zookeepers prepare specific diets each day for every animal. Join us today to help discover what our animals eat, how we make it, and even make your own special treat for the animals. Dress up in your favorite glow in the dark gear for tonight’s special subject- animals that glow! There are several species of animals and plants which glow in the dark from scorpions to fireflies. Tonight we will explore where they may be found throughout the world and why they would decide too glow. We will even create our own luminescent creature to take home. If you could have any super power, what would it be? To animals, choices such as flight or super hearing are already a reality! Animals often have super unique senses to help them survive in the wild. Some can have lightning speed, some can spin a web, and others can turn almost invisible. Discover how different animals may use their senses to survive. Dressing up as your favorite super hero is welcome and encouraged. From making slides out of water or snow to making tunnels and more, otters explore their habitats in exciting and fast-paced ways. In the wild they need to maneuver around rocks, trees, or other objects in and out of the water like one big Obstacle course! Join us to design our own obstacle courses and test to see if they are otter approved. Many animals live in mysterious ways. Help us uncover these mysteries around the zoo to find out how animals may do peculiar things, and why. We will focus on our furry friends and learn about all the adaptations they use to survive. From mice to elephants, we will talk about what similarities all mammals have. Spring has sprung, and soon will our pollinators. Help protect our pollinators by learning about how they can help not only our flowers, but our whole planet! Pollinators provide us with much of our food and help keep our ecosystems healthy. And it’s not just bees; from bats to birds, there are sure to be many crazy critters we can explore. Our classes and programs are designed for a minimum of three participants. In the event that we don’t have the minimum number of kids registered for a class or program, we may cancel the class. In the event of a class cancellation, we will contact parents and work to either reschedule their registration or issue a refund.